To many people it would seem there’s an endless conveyor belt of companies unpacking at Discovery Park, but signing them up doesn't happen overnight, and the latest arrival is a good example of the hard work that goes into landing these businesses. 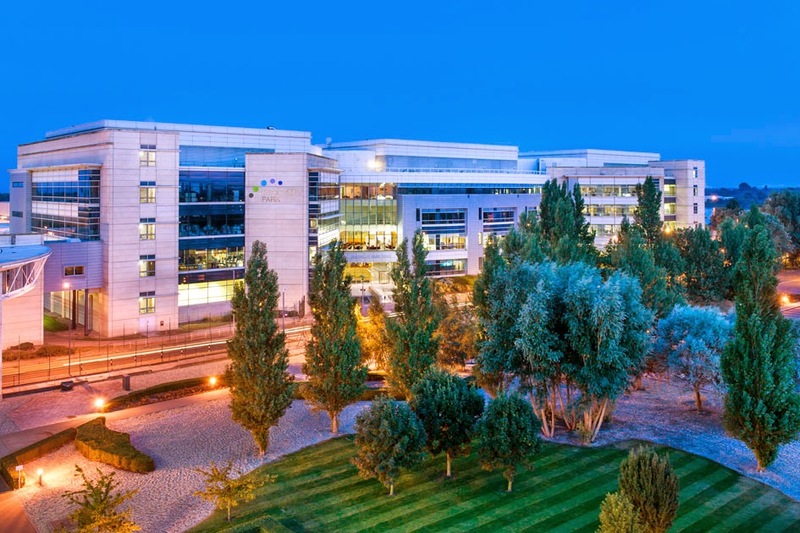 After being open for just over two years, Discovery Park has secured Quvium – its 100th tenant, with news that the US healthcare technology company is to establish its UK headquarters here in Kent. The company develops and manufactures sensors which can warn asthma sufferers of impending attacks. Quvium became aware of what the county offered two years ago when its founder Steve Schmidt was introduced to Locate in Kent by the agency’s US representative who is tasked with identifying possible new arrivals for Kent. Chris Broom of Locate in Kent, who met Steve on no more than a dozen occasions, arranged a series of important meetings with accountants, solicitors, HE specialists, funding advisers and owners of Discovery Park. Faced with the prospect of Quvium choosing Wales, Chris Broom showed Steve what Kent could offer life science companies. By getting to know the business, Chris supported the company’s decision by introducing the owners to contacts in the NHS and others and provided them with funding advice. There’s no doubting the quality of the scientific facilities at Discovery Park, which are on a par with anywhere in the country thanks to the vision of the new owners and the initial investment by Pfizer, who sold the site, but still have hundreds of scientists and support staff based there. Another factor in attracting high-growth companies like Quvium to Discovery Park is the site’s Enterprise Zone status, bestowing business rate free periods on the companies based there. An equally big factor has been the ability of new arrivals to tap into the finance on offer via Expansion East Kent, the scheme managed by KCC and available thanks to a successful bid to the Regional Growth Fund. Based in Boston in the United States, Quvium secured an interest free £500,000 loan from the fund, enabling it to bring the product to the UK market and create 20 full time jobs here in Kent. With all this economic success it’s also not surprising that there’s been a steady stream of Ministers eager to sing Discovery Park’s praises and the coalition’s policies. All we can hope for is that the Government recognises the success of funds such as Expansion East Kent – and continues to back Kent.